Come along to our FREE event, instore on October 22nd to hear about Derek Mahon’s summit of Everest. 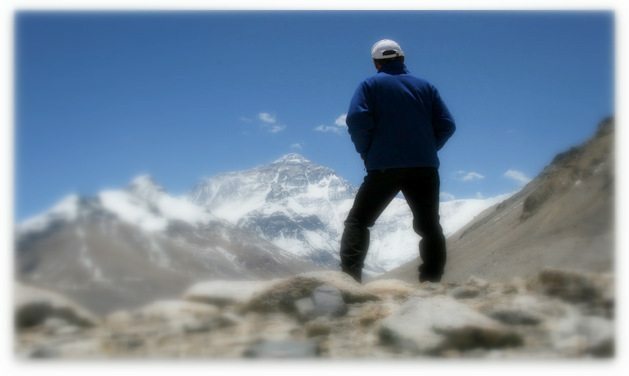 Have you ever stood and looked at the highest mountain in the world at 8,848m/29,028f and just wondered, if in fact, you were given the chance to climb to the Top of the World, how would you prepare yourself mentally and to a lesser degree physically? He attended a FREE talk in Great Outdoors and his interested was piqued. With some further research, the seed was planted and Derek started down the path that would lead him eventually to the top of the world. He summited on the 24th May 2014 at 06.30 am Nepal time / 01.30 am Irish time. He is the only person from the Republic of Ireland this year to achieve such a mammoth feat. Listen to his story, in store on October 22nd at 7:00pm. Tickets are FREE but limited, book some for you and your friends below.